It was also revealed in the research that by eating more junk food, insects start growing in the intestines. Because of which these worms affect the digestive system and this leads to increased obesity.The buttermilk is natural pro-biotic which is helpful in reducing weight. In the abdomen, the insects are identified with the signals that if there is a slight pain in the stomach,weakness,lethargy and indigestion,then the symptoms indicate insects in the stomach.Buttermilk contains low calorie. Therefore take a glass of buttermilk everyday after meal or with meal.By doing this,hunger is less and nutrients in the body also reach through the buttermilk.Because of which obesity also does not grow and body become fit and healthy. There are nutrients like carbohydrates and lactose that help in protecting the body from diseases. 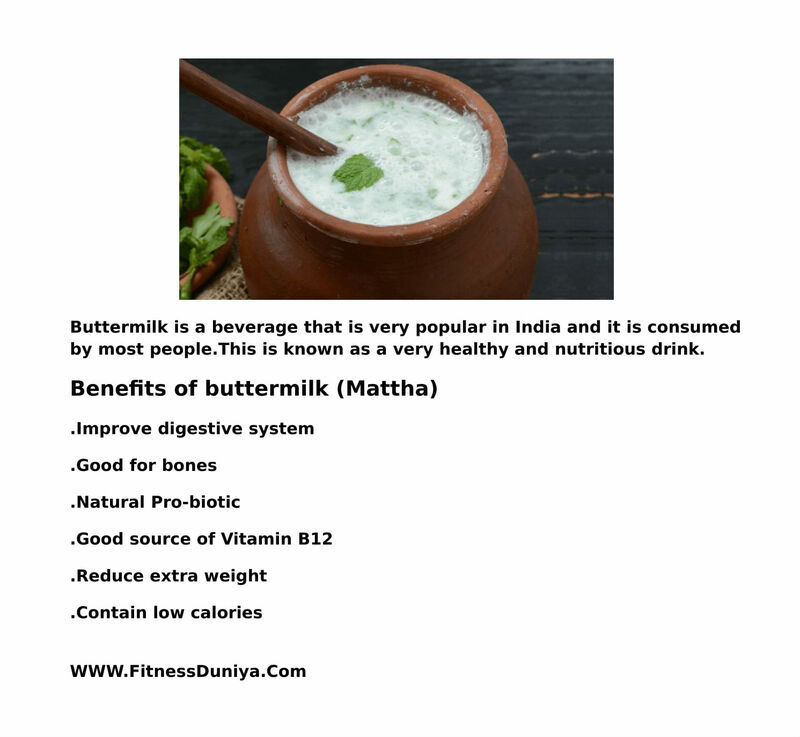 Buttermilk is a natural drink which brings energy in the body and the body remains healthy. Increase the power of digestive system. 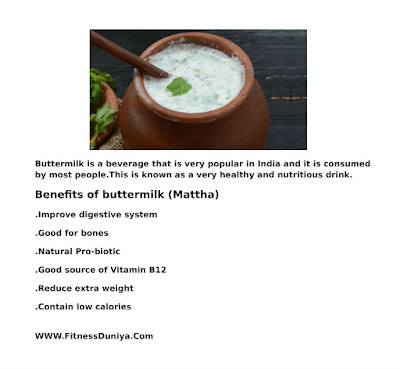 Many people do not digest milk.For them, mattha is extremely beneficial. Mix ajwain,black salt in the buttermilk and reduce the problem of constipation. Reduce the problem of acidity. Drinking fresh buttermilk gives nutrients in the body.To keep the body healthy, nutrients like carbohydrate, protein, fat, vitamins and minerals are required. It will increase your immune system and feel very energetic. Healthy bacteria and carbohydrates and lactose present in it keep you healthy. Natural source of vitamin B12,calcium,potassium,phosphorus etc. Dehydration begins when heat arrives, buttermilk is considered best for it. Buttermilk reduce the problem of acidity,chest burning or stomach problems.